Miso scores as one of the cutest and cosiest Japanese restaurants I've been to in Sydney, offering patrons its signature golden crunchy pork tonkatsu and meals served in teishoku style. 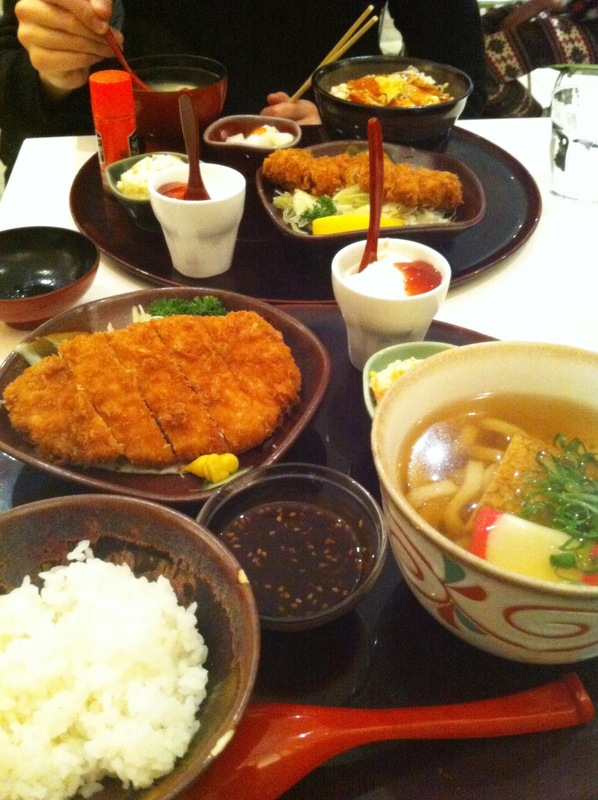 This was our second visit to Miso, on a particular day when our spontaneous stomachs decided it was in need of some deep fried delights in the form of panko crumbs. To also explain, teishoku means a set meal that includes rice, a main dish, miso soup, seasonal vegetables and other additions. Loved this cute visual at the front of the menu! 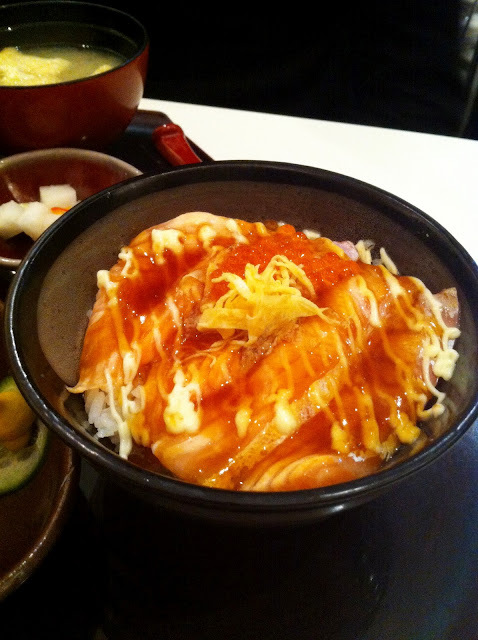 Thanks to my wonderful advice, M took my recommendation to order the Chirashi Sushi & Tonkatsu Set ($19.80) which comes with aburi salmon and salmon roe. The Aburi Salmon with Rice was absolutely stunning. The salmon was gently torched to perfection and slathered with salmon roe and mayo. Just looking at that picture again is making my mouth water...yum! 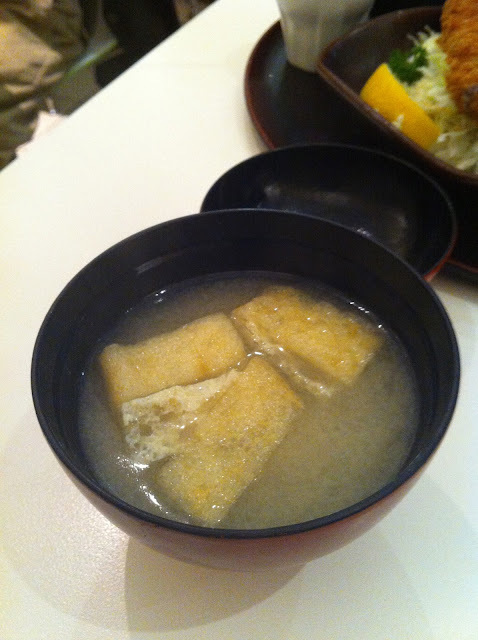 As the name of the restaurant suggests, Miso Soup acts as the staple to most of the meals on the menu. Strangely though, I remember the miso soup to be more remarkable on my first visit whereas the second time round, it was just so-so. Or am I just being too critical? Now comes the star of the show! 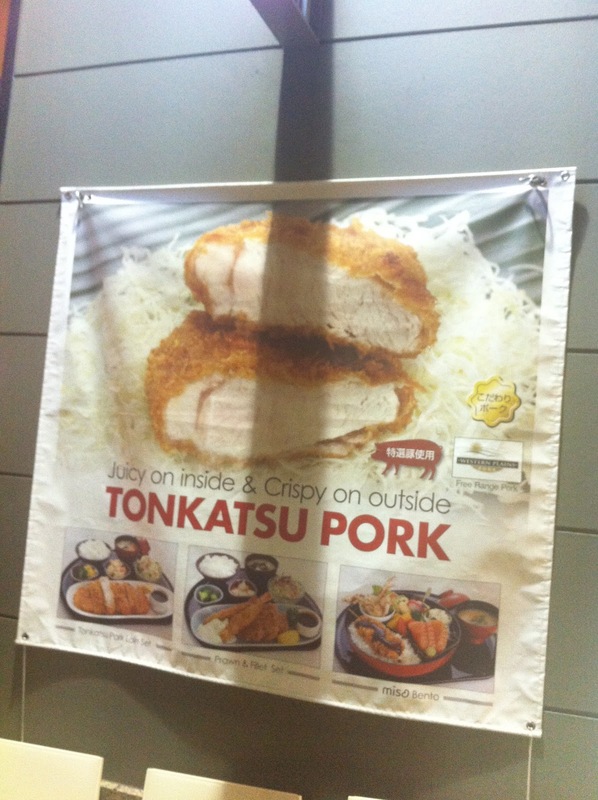 This pork loin was definitely one crumbed piece of fried goodness despite it being a tad bit thick. 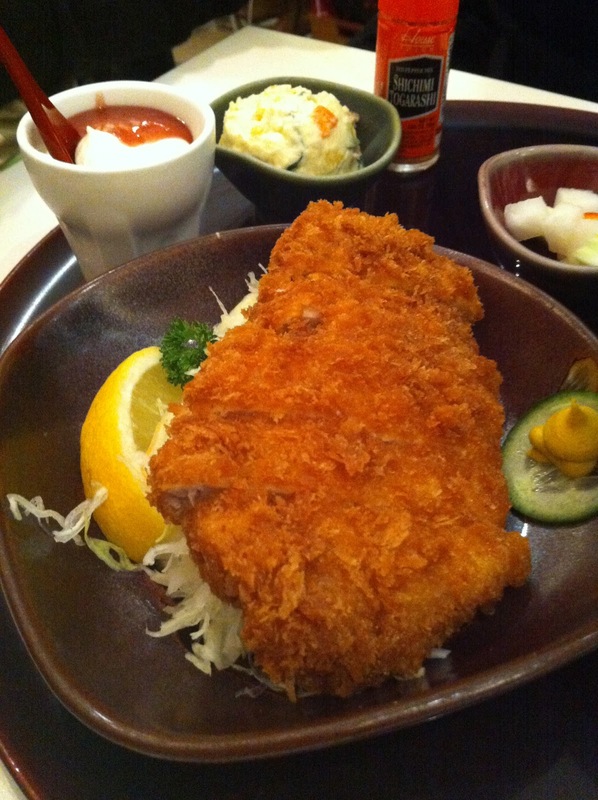 Nevertheless, definitely made it into my top 3 best tonkatsu list. It's all cut up as well, catering perfectly well to my laziness. Make sure to dip it in the sauce, otherwise it may taste a tad bit bland. I ordered the Tonkatsu Pork Loin & Udon Set ($17.80) because it was a cold night and I needed something soupy. 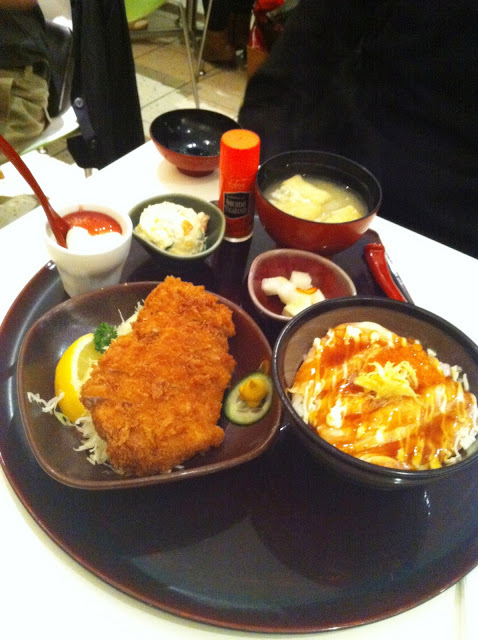 The udon was great and came in perfect proportion. 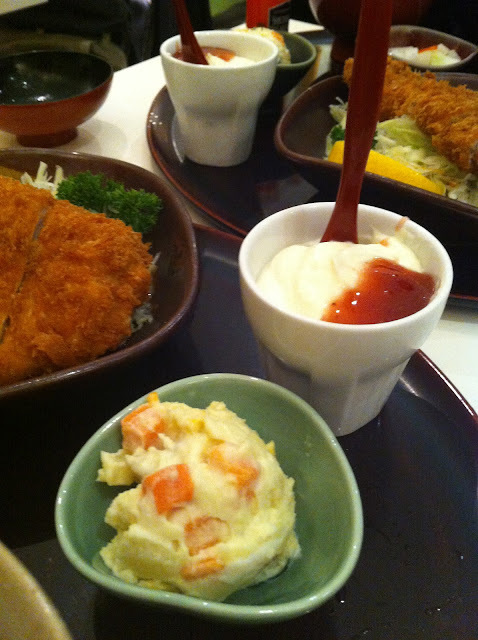 On the whole, I think Miso is a great place to drop by on a casual night for a delicious teishoku meal. The price is affordable and the quality of the food is up to standard. Though, do expect to wait for a seat because the place is literally always filled with patrons. Staff are very friendly and when you wait, they offer you hot green tea, which I thought was a lovely gesture. P.S. Miso is part of the Masuya, Makoto and Musashi Group!